Attractive, clever and boasting secret hiding spots—what’s not to love about these book-inspired library shelves? 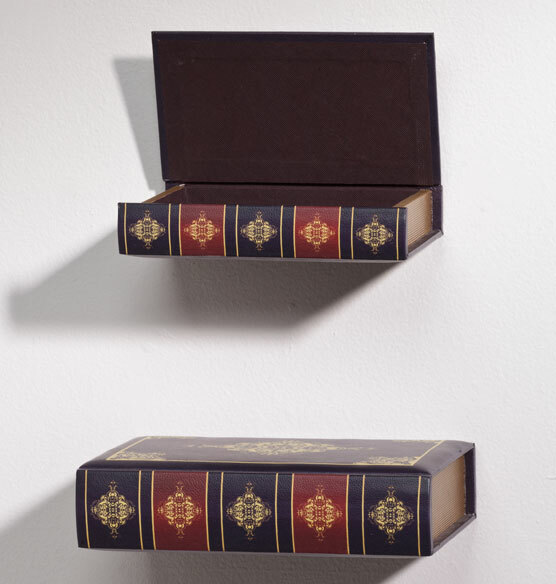 Perfect for libraries or dens, this set of two bookshelves not only functions as regular display shelves, but each shelf also opens up to reveal a hidden storage spot for mementos and souvenirs. 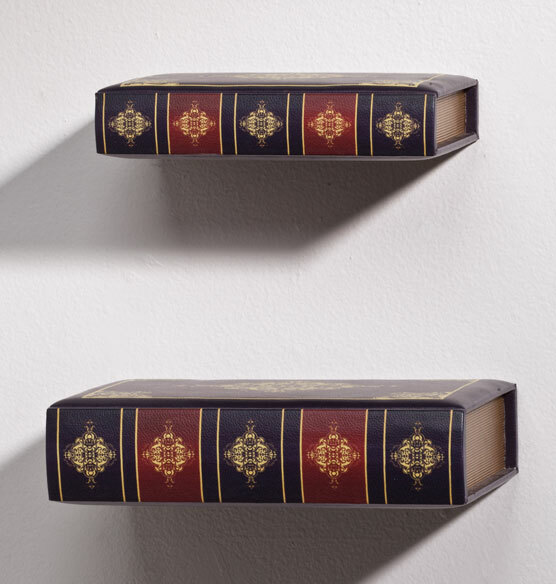 With ornate “bindings” reminiscent of Old World tomes, these shelves will appeal to any book-lover. Makes a great, unique gift idea. 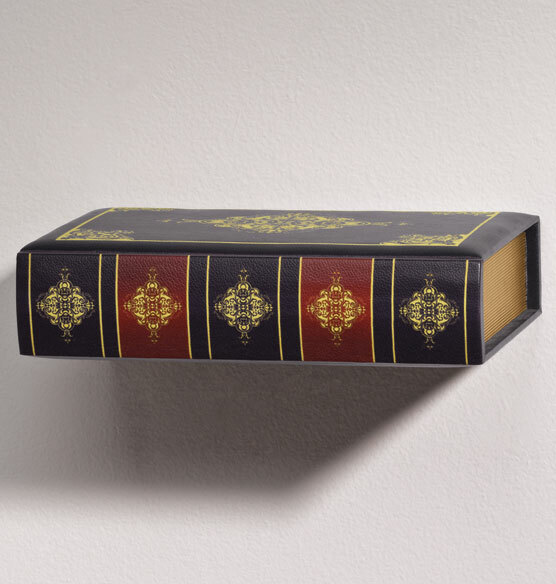 Thought the look of floating books would be cute for a Harry Potter inspired room. Small enough to fit in tight space and provide a little extra storage. Good looking, too. Will look good next to my book shelves. BEST ANSWER: Thank you for your question. The Small box measures 10” wide by 6 1/4" long x 1 3/4" deep. The Large box measures 12 1/4” wide by 8" deep x 2 1/2” high. We hope this information will be of help to you.